Dr. Jaceldo comes to Loma Linda by way of Texas where she completed her undergraduate work in chemistry and obtained her masters degree in Nutrition. In 2003 she earned a doctor in public health degree in nutrition from Loma Linda University. She then became a full time research associate for the Adventist Health Study-2, a NIH funded research program at the LLU School of Public Health. This is a cohort study of Seventh-day Adventists in US and Canada designed to determine the relationship between their diets and chronic disease. Her current role as co-investigator in AHS-2 has given her the opportunity to focus on the validation of food frequency questionnaires using dietary recalls and biomarkers as references, of interest to her since her graduate studies. Her other research interests include exploring and developing different methods of assessing diets, dietary supplement use, and examining the relationships between diet and such outcomes as mortality, MetS, cognitive function, and heart disease. 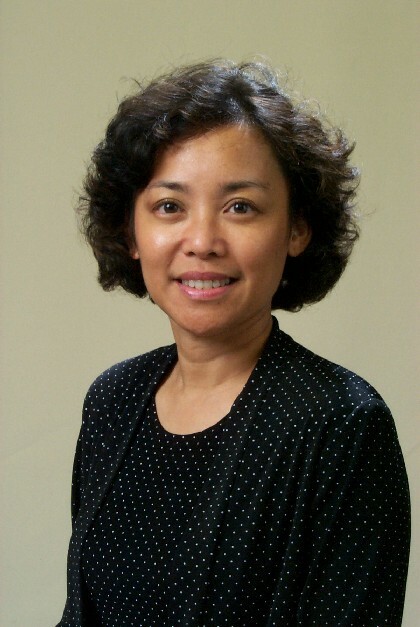 Concurrent with her post at the AHS-2, Dr. Jaceldo holds the position of assistant professor in the department of nutrition in School of Public Health and department of preventive medicine in School of Medicine. Her work in the nutrition department is primarily focused on research, with emphasis on the nutrition and health benefits of soy and nut consumption, and more recently the environmental impacts of vegetarian diets. She has conducted research to determine the correlation between childhood exposure to soy and growth patterns. She has also conducted research on the effects of almond consumption on blood lipids, body weight and food and nutrient displacement. She is first author of journal articles on soy, almonds, and validation of dietary assessment methods. Her primary contribution to academics is through mentoring post-doctoral fellows, doctoral students, serving on several dissertation committees, and shepherding MPH and DrPH students through their research projects. She is also a frequent guest lecturer for nutrition and epidemiology department courses. Dr. Jaceldo-Siegl is a member of the Society for Epidemiologic Research, the American Chemical Society and the American Society of Nutrition Sciences. She serves as manuscript reviewer for a number of scientific journals.